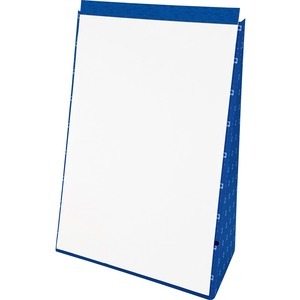 Self-contained easel pad contains 20 sheets of 15 lb. white paper and offers rigid fiberboard construction in blue. Fold easily for transport. Paper is pinhole-perforated for easy removal.